It is with great pride and affirmation that I invite you to browse our school website and join with our staff, parents and friends of St. Joseph’s in celebrating the achievements of our wonderful children. 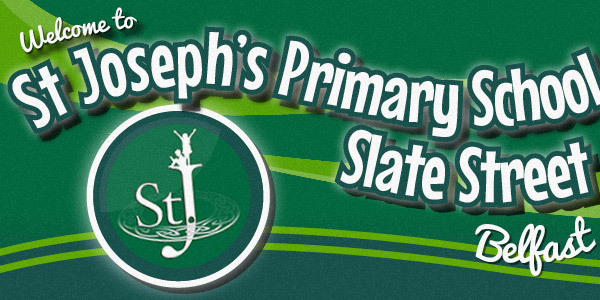 St. Joseph’s Primary School, Slate Street, has a rich and accomplished history, stretching back to the mid-eighteen hundreds. 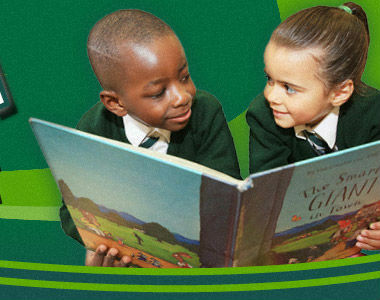 From its beginnings as an ‘elementary’ school, to our current state of the art provision, St. Joseph’s reputation as a centre of educational excellence goes before it. Among its celebrated past pupils are, a Hollywood actress, Geraldine Hughes, Mary O’Hara a journalist for The Guardian and New Statesman Newspapers, as well as an impressive array of medics, lawyers, social workers, engineers, accountants, mechanics, artists, designers, public representatives, priests, teachers and school principals, including myself. Our list of alumni talent is mirrored in the giftedness of our current children who are drawn from the local and wider community and a variety of cultural and religious backgrounds. In the pictures and commentary in our prospectus, you will get a tiny glimpse of what our ethos means as you view the happy, contented faces of children whose success is our purpose, but who thrive at the centre of a circle of love which is St. Joseph’s. I warmly invite you to visit our school to see at first hand the first class opportunities offered. You will always be guaranteed a true and friendly welcome.